Water is a key driver of sustainable economic growth and development, and a critical element of many industrial processes. The water infrastructure in Lima/Allen County is second to none – this is one of many reasons why our community is a prime location for manufacturing facilities. With more than 15 million gallons of water processed daily, and five reservoirs – our water system is easily accessible, and regulated. Access to quality water save industries time and money by minimizing the processing and purification processes. 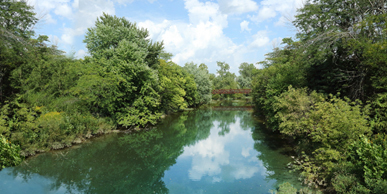 The City of Lima works diligently to prevent potential water quality issues through various water protection measures to protect the Ottawa and Auglaize Rivers. Potential issues include contaminant sources such as agriculture, industrial storm water, septic systems, wastewater treatment discharges, and more. Lima is home to five above ground reservoirs that supply raw water to The Lima Water Treatment Plant. Water from two area rivers supply the reservoirs, which collectively house more than 14 billion gallons of water. Click here to read more about our reservoirs. The Ottawa River, a tributary of the Auglaize River, is approximately 50 miles long. 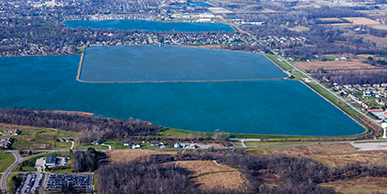 The Ottawa and Auglaize Rivers supply more than 14 billion gallons of water to five above ground reservoirs in Lima, Ohio. The river flows northwest, then west-southwest through Lima, and eventually joins the Auglaize in Kalida (Putnam County).